Diaspora Lanka has hit a snag. 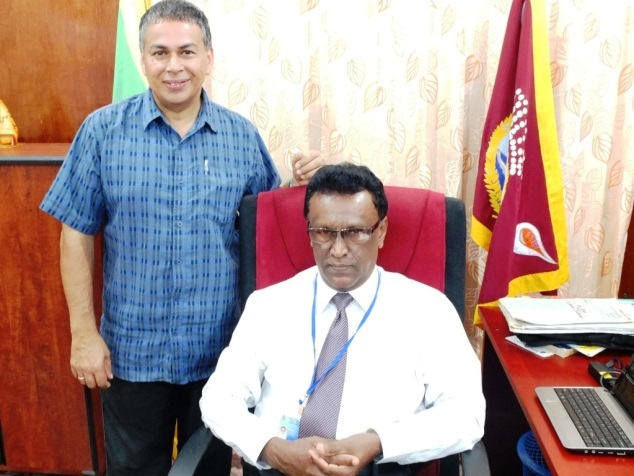 Since July last year the Government Agent of Mannar (GA), Urban Council Mannar (UCM), the Assistant Commissioner Local Government (ACLG) and the Urban Development Authority (UDA), key partners for the past two years, now want DL to gain formal approval from the Presidential Task Force (PTF) before they will continue to work with us. Diaspora Lanka wrote to the PTF in 2011 seeking this approval. In a lengthy phone response, the PTF Secretary informed us that we did not need their approval for our activities because we worked through local agencies, and if project approval was required, the local entity would naturally seek that. Now the rules seem to have changed and DL is in the process of gaining such approval. • Presidential Advisor on Reconciliation Prof Rajiva Wijesinha and Jeremy met with Mr Divaratne, PTF Secretary, about the matter of formal approval. He would like DL to establish a formal relationship with the UDA to streamline and make more efficient our work with government. Mr Diva also rang the new GA, arranging an appointment for DL to meet him. • DL met with the UDA Chairman who directed the UDA Head of Business and Jeremy to draft an MoU between the UDA and DL. The document was written the next day, discussed at a directors’ meeting and forwarded to the UDA’s legal section. A letter of request along with requested registration papers were also provided by DL. • A follow up visit and phone calls were made requesting formal approval by the UDA and PTF. • Write to the UDA Chairman and request he inform DL of the progress of the MoU. 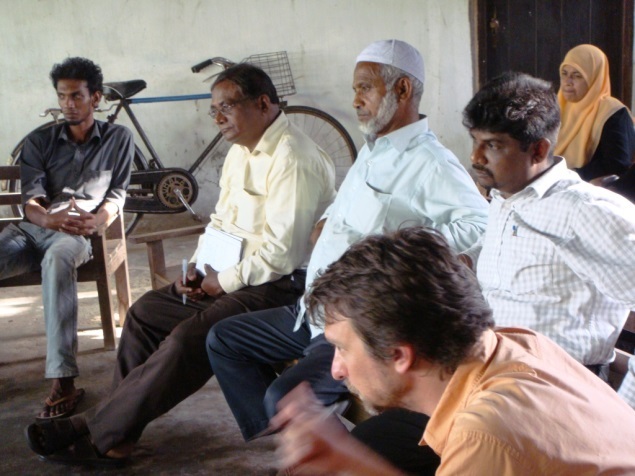 • Write to the GA of Mannar seeking his help in expediting the finalization of the MoU. 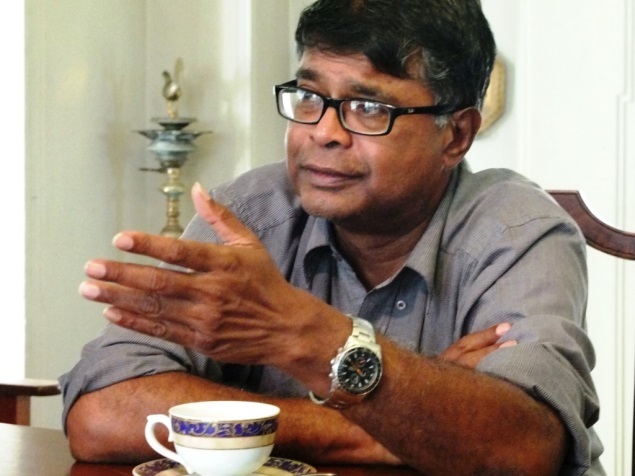 Without the signing of the MoU by the UDA and written approval from the PTF, Diaspora Lanka’s more strategic work is currently in a holding pattern. Mannar Island had more than 70 ponds (“kulam”: sizeable water bodies) that were the natural drainage system for the low-lying island. Successive governments and residents encroached upon the ponds, filling them in for the construction of housing. The result has been serious annual flooding throughout the urban area. The remaining dozen or more ponds are mostly polluted and disused. The proposal was to rehabilitate the ponds and transform them into attractive recreational precincts in a town with little open and recreational space. In partnership with the Urban Council, the volunteers conducted several community meetings with the many pond and foreshore project stakeholders. For the pond these were: St Xavier’s Catholic Boy’s School principal, staff and students, Hindu residents, Muslim mosque members and local residents. For the foreshore development these were: local traders, fisheries officers and fishermen, and Mosque trustees. 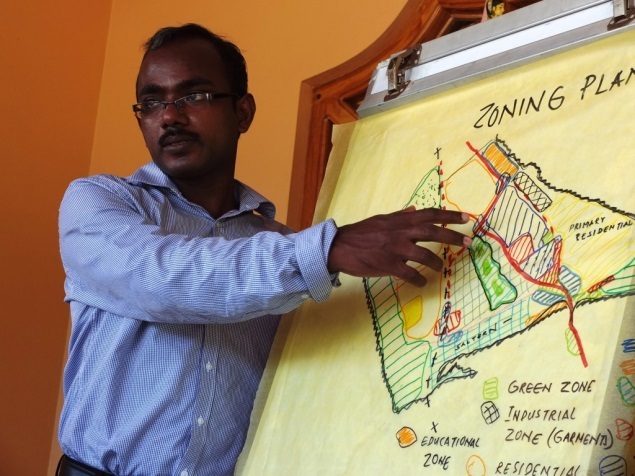 Several meetings were held with the staff and engineers of the United Nations Office for Project Services (UNOPS) resulting in an agreement that Diaspora Lanka’s planners will be responsible for designs for the Nedunkulam Pond based on community wishes and that UNOPS will fund and undertake the earthworks, drainage and landscaping. If successful, this partnership will be extended to cover the rehabilitation of two additional ponds. The planners completed their pond designs, which were welcomed by most of the community. Regrettably, late in the piece, the school, which borders the pond, withdrew its support as it wants to capitalize on any lands nearby for future school expansion. 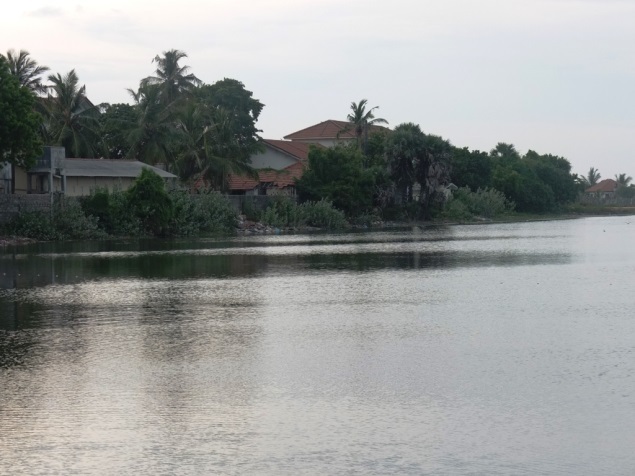 The Government Agent of Mannar has decreed that all ponds in Mannar come under the jurisdiction of the Urban Council which wants the ponds project to proceed. The Lands Officers of the District Secretariat are willing to ensure the project goes ahead. Further negotiations are now needed.